Install a plastic or rubber waterproof membrane on the top of the roof decking. After this is accomplished, a six millimeter plastic sheet should be placed on top of the waterproof membrane to function as a barrier against roots. When these two layers are in place, create one more thin layer of three-quarter inch foam insulation that is suitable for contact with moist soil. Frame the sides of the roof with edging that will hold the soil in place and permit drainage. This frame can be made from wood, gutter guards or other appropriate material. The amount of soil added depends on the type of plants from which the roof will be made. Consult a botanical professional for landscaping tips and advice about various plants. If pre-planted trays will be used, make sure to design a roof that will accommodate the length and width of the trays without any gaping spaces and remember that edging is not necessary with a tray system. Another green roof alternative is to purchase vegetated mats, which are similar to sections of sod you would buy at a home and garden store. Only a thin layer of soil is needed if you plan to use vegetated mats. When selecting plants, keep in mind that it is not unusual for a rooftop to reach temperatures of 150°F or higher. Fortunately, a broad range of plants and grasses thrive in rooftop gardens. These include herbs, succulents, herbaceous perennials and sedums. Regardless of your reason for desiring a green roof, you should consult a professional and schedule a careful assessment of your property to ensure that such a roof is a wise choice. Have Plenty of Seating. A party or get together on the patio is perfect for a casual gathering, but you still want to make sure that you provide ample seating for guests. A well designed and comfortable patio will have furnishings like a table, whether for dining or placing drinks and books down, a weatherproof outdoor sofa, and maybe even an outdoor chaise lounge or two. You can use a mix of seating options, so if you need to pull out a few lawn chairs to accommodate many guests, it’s perfectly acceptable. Keep Bugs at Bay. There’s nothing worse than trying to enjoy an outdoor soiree and having to fight off pesky insects every few minutes. Keep the bugs at bay by lighting citronella candles. Incorporate Tiki torches into your garden design. The smell of Citronella oil repels pests like mosquitoes, fleas, and black flies. Protect food that is set out buffet style with food tents designed to fit right over dishes. Provide Some Shade. Before the sun goes down, your patio may be splashed with sunshine. While this can be nice when the temperature is a bit cooler, it can easily get guests overheated when both the sun and the temperature are high. Be sure to provide a shady spot to escape the sun. You can add a large umbrella to a dining table, install a retractable awning, or use a removable tent to cover the patio. A colorful umbrella makes a nice choice because it can define a dining area. Keep these landscaping tips in mind before hosting your next get together on your patio. 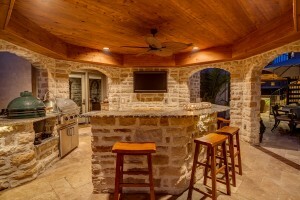 With plenty of seats, a shady area to relax, and no bugs to contend with, parties on your patio are sure to be a hit with guests. If you think the most cost-effective home improvement involves installing wiring and the latest technology for audio, video and data technology, think again. 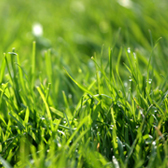 Landscaping can add thousands of dollars to your property’s value. While interior improvements and design concepts regularly become dated, landscaping can add lasting value to your home and increase its value by as much as 20%. 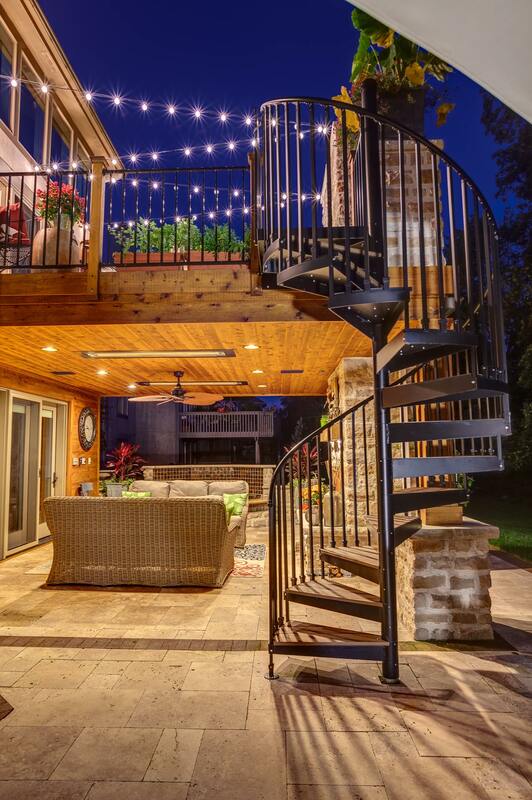 When planned and installed correctly, the addition of trees, shrubs, plants and hardscape elements such as patios, walkways, decorative lighting and even water features will significantly enhance your home’s curb appeal. That translates into higher value when the time comes to time to sell your residence. A landscape with attractive trees often produces the highest return on investment as home buyers are more apt to buy a residence with mature, attractive trees. 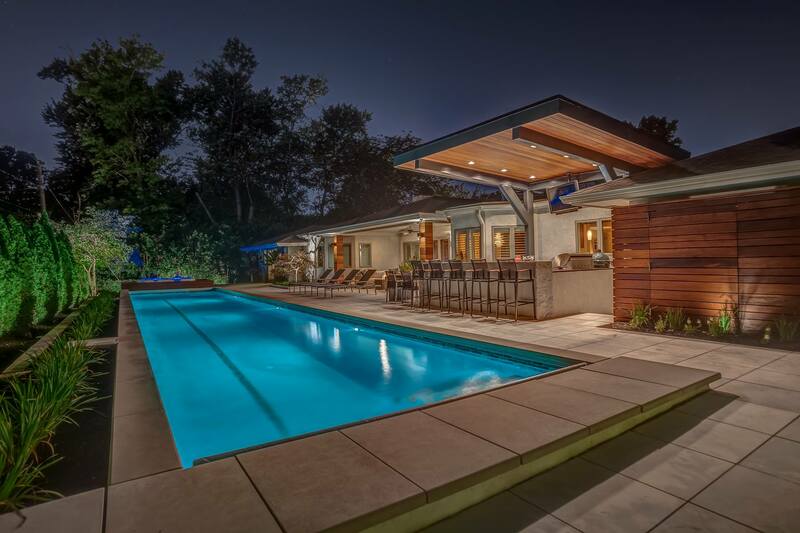 After all, the exterior and its surrounding grounds are the first thing that prospective buyers see. First impressions count. Proper landscaping is much more than simply placing a few trees and plantings in the ground. It starts with a good design and a well thought-out budget. The American Society of Landscape Architects (ASLA) recommends that homeowners spend 5% to 10% of your home’s value on landscaping design and installation. For a $1,000,000 home this translates to $50,000 to $100,000. While that figure may seem high, an upscale home requires quality elements that will enhance and not detract from the exterior. When planning landscaping on this scale, one of the most important tips that homeowners should remember is to work with a landscaping architect who will consider not only your needs and personal preferences to develop a detailed plan, but will also consider how all plantings will look and interact with other elements such as fences, lighting, garden paths, ponds, fire pits, swimming pools and more. By hiring a degreed landscaping professional with knowledge of horticulture, engineering and design, you’ll receive a design that takes elements such as soil, property grading, microclimate and irrigation into consideration that will ensure success. Developing an overall plan will result in a cohesive look instead of a hodgepodge of softscape and hardscape elements that can actually detract from your property’s value. Think of the plan as another investment in your property. Assessment of your property is the first step in landscape renovation. This will include distinguishing between dying trees and those that need minimal care and attention, along with looking at plantings that are overgrown, obscuring windows or otherwise needs attention. Assessments will also look at areas that will benefit the most from enhancement to recommend elements such as patios, decks, decorative walkways and exterior lighting that calls attention to architectural features and landscaping elements, provides safety and extends enjoyment of your backyard at night. While attractive trees, bushes, pavers and other masonry details will add to curb appeal out front, the hottest trends in landscape architecture occur in the backyard. Outdoor family rooms, dining and relaxation areas that often begin as terraces adjacent to the house are becoming increasingly popular. Outdoor kitchens with built-in grills, cooktops and even refrigerators are just some of the elements that can make outdoor life more enjoyable while also extending the entertainment area of your home.